Leeo Smart Alert Nightlight (SRP $99) is an easy-to-use device that monitors a home’s existing smoke and CO alarms and alerts residents via a mobile app when they sound. This beautifully designed device, which also functions as a nightlight with 16 million customizable color options, is simple, affordable and perfect for families and pet owners. Leeo monitors your smoke and carbon monoxide alarms, and the climate in your home, if something’s not right, it sends notifications straight to your phone. If an alarm sounds and you’re unavailable, the Leeo Smart Alert™ Nightlight gets help from friends, family, and neighbors on your backup contact list. Smoke alarms aren’t smart – they’re great at sniffing out smoke, but they’re only useful to the people who can hear them. If you’re away from home, your smoke alarms can’t tell you if your home is safe from fire. 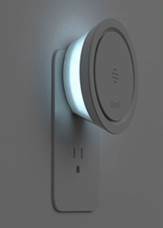 The Smart Alert™ Nightlight is the only plug-in solution that connects you to your existing smoke and carbon monoxide alarms with no contract and no monthly fees. The Smart Alert™ Nightlight is available today on amazon.com and www.leeo.com for just $99 (free shipping!). Novosbed.com is the risk free memory foam company! What better way to spoil your sweetie than to give them the gift of a good night’s sleep with a new memory foam pillow or silk duvet. Novosbed Opus Pillow $139 – perfect for side, stomach, and back sleepers! 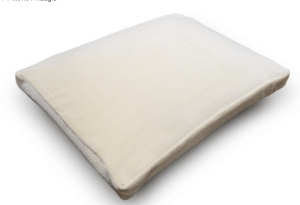 Novosbed Adagio Pillow $149 – great for side-sleepers! Novosbed Contour Pillow $109 – great for all sleeping positions! Novosbed.com pillows come with a zero-risk guarantee and are comparable to Tempur-Pedic quality memory foam pillows without the higher price tag. Novosbed.com also has free two-way shipping and a 3-year warranty—ensuring your valentine is going to get a good night’s sleep for many years to come! We love the iCoffee Single Serve and highly recommend it for the coffee lover in your life. 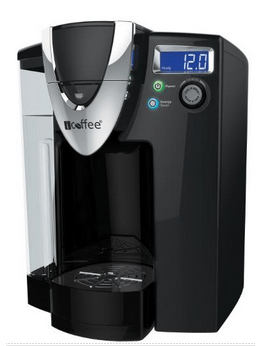 It was simple to set up and brewed a great cup of coffee in less than a minute. 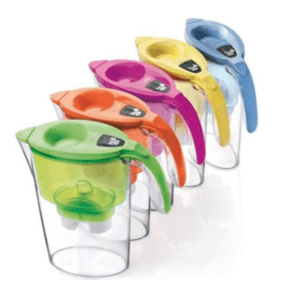 Since the iCoffee Single Serve features its Dial-a-Brew technology, it allows you to brew any size cup between 4 and 12 ounces in .5-ounce increments. iCoffee Single Serve uses its SpinBrew technology to spin, steam and stir coffee grounds inside the single serve pod, releasing maximum flavor and minimizing acidic or bitter aftertaste. Best of all, iCoffee Single Serve works with all varieties of K-Cup, RealCup, One Cup and private label cups, including those for the Keurig 2.0. Additional information can be found at www.iCoffee.com. NUTRI NINJA® | NINJA® BLENDER – Nutrient extraction, blending, and meal making is packed into one appliance featuring intelligent programs that, at the press of a button, deliver consistent, delicious, results. NUTRI NINJA® AUTO-IQ – Ideal for an on-the-go super juice or helping with dinner and snacks, the Nutri Ninja® Auto-iQ was designed to create not only nutrient-complete juices but also sauces, dressings, dips, purees and frozen desserts. NUTRI NINJA® 2-IN-1 – Perfect for a compact kitchen, this versatile power pod allows consumers to easily flip from the Nutri Ninja® single-serve blender to an all-in-one food processor, achieving perfect results every time. This unique water filtration system keeps healthy minerals in tap water, while effectively filtering impurities, helping consumers to stay healthy and hydrated! Laica has different styles and colors available.